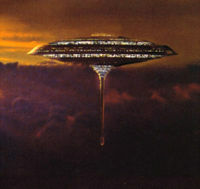 Recently, Fartron has departed from Jupiter and gone to Earth to be with her cousin/lover Superman. Also Jupiter is the home planet for E.T.. Jupiter is also the only planet in the solar system capable of playing badminton and is the greatest planet at playing the sport of crotch potato. 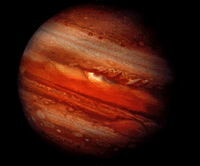 It is also widely regarded that Jupiter is rather a jovial guy. The Jupiter's moons are Io, Europa, Ganymede, Callisto and other small rocks (Titanic, also called Titan, is also Saturn's moon). People of Jupiter are sometimes going on Europa, but European Union has got this moon in posses. Io has got a strange name and is covered by volcanos, and that is a female moon. Ganymede is a big moon, and some people says that he is gay. But that is not true. Callisto is the big female moon covered by craters and is very old. There is also another moon called Doughnut which is bigger than Earth and often crashes into Saturn. This caused the war of the moons where Saturn and Jupiter started hurling moons at each other and its been going on for thousands of years. This page was last edited on 20 May 2015, at 20:53.